Congratulations! You received that promotion, and now you will be relocating to Charlotte, North Carolina. Moving to an entirely different city or state creates the potential for additional stress. However, a relocation real estate agent can calm fears and ease stress, making the relocation process less of a hassle and more of an adventure! 🤔 What is a Relocation REALTOR®? 🙋‍♀️ Why Should I Have a Relocation REALTOR®? 🧐 What Relocation Skills Does a REALTOR® Have? A Relocation REALTOR® is a real estate agent who has intimate knowledge of the area that you are planning to relocate to and is a member of the National Association of REALTORS®. A good relocation real estate agent will help guide you through the entire relocation process. This can include listing and selling your current home, finding possibilities for your new home, negotiating and closing on your new home, and tours or orientations in your new hometown. They can also give you referrals for other specialists, like packers and movers, and local service providers including loan officers, lawyers, and decorators. Having a Relocation REALTOR® can create a sense of calm in the chaos that is a quick move. They will have knowledge of the new area and can streamline the move. Their knowledge of the area can be an invaluable tool when deciding on suburbs and school districts. Depending on how quickly the move needs to take place, a relocation real estate agent can help you make a decision on whether to rent for a few months while the housing search continues. A Relocation REALTOR® will have skills that are unique to relocation specialists. 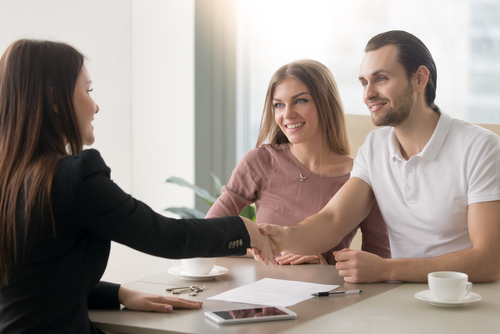 In addition to being able to negotiate with sellers and other professionals, staying organized and prioritizing their clients can make the difference between a lifetime of referrals and a one-star review. Ease of communication is also very important, as many interactions will occur through a screen or over a phone, as opposed to in person. Knowledge of the market data is important for recommendations on neighborhoods and areas of interest. Relocating to Charlotte, North Carolina can be a rewarding decision, despite the stress of a relocation. Here are some steps to make the transition as smooth as possible. Find an agent – Find a Relocation REALTOR® in Charlotte that will help streamline the moving process. If you have an agent that is selling your current home, they may also be able to help with the new home. If not, they may be able to refer you to an agent in Charlotte. Set up a meeting with the agent – Set up a meeting with your new Relocation REALTOR. Initial meetings may take place on the phone or even through a communication program like Skype, or GoToMeeting. If your new location is close enough, an in-person meeting can be valuable to make sure there is a good fit. Start your search online – With the help of your real estate agent, determine the area or areas that seem to be the best fit with your budget and your desired location, whether it’s in the middle of the city, or a little further out with room for a garden. Once you have done that, begin your search online for properties and homes. Visit the new city and view houses – Once a list has been made of houses and properties to visit, arrange a trip to meet with your real estate agent in Charlotte. Spend the day or days visiting homes and places of interest, and make sure to ask questions! Choose your new home and let your agent do the rest – The house has been chosen and the rest of the process is set to begin. Let your Relocation REALTOR® guide you through the contracts and negotiations. At this point, your realtor can begin making recommendations for things like moving companies, mortgage brokers, and local services. Settle in – Congratulations! You’ve made the move to Charlotte! Now it’s time to get settled and begin exploring your new city. There are several different ways to go about finding a Relocation REALTOR®. 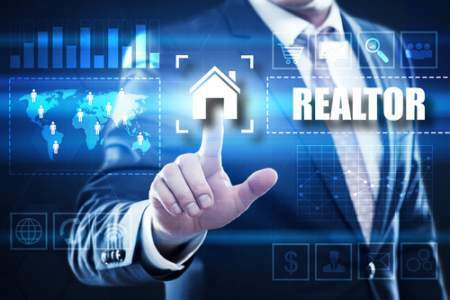 A quick internet search will yield websites for specific real estate agents, as well as general real estate sites where home buyers and sellers can rate and review their agents. The Human Resources department of your new company may also have recommendations. Another resource is the Chamber of Commerce website for your current city or your potential new city. Word-of-mouth referrals are good but be sure that you spend some time researching and interviewing prospective realtors. Ultimately, choosing a Relocation REALTOR® is a personal decision, so compatibility is extremely important!